...jump right in. The water's great! Time - Give yourself about three or four days to do this one. 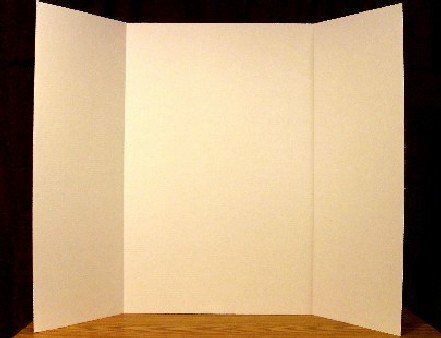 Here's a water science fair project! ...let's ask some questions about water. Here are some important questions to get you started. These aren't your most important question, though. We'll ask the big question later. 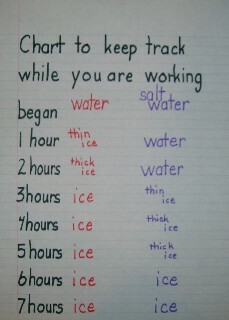 See if you can add to this list for this science fair project water experiment. How is all wate alike? What are some ways different types of water are different? Try to answer these as best you can. This is a good question because we can try it out in a freezer at home. But don't try it yet. We need to answer our important question first! Write it down on a piece of paper. Don't change it until you see what the water in the freezer does first. We call this guess our hypothesis. ...let's do this science fair project water experiment! Get your two types of water. Salt water and fresh work the best. With the measuring cup, put the same exact amount of water in both cups. Be careful at this point. Putting different amounts of water in the cups could ruin the experiment. Set the cups in the freezer. Every hour check the water and what it does, and write down what you notice. Don't forget to take lots of pictures of this part. Pictures show you did your own work. You may want to use your mom's kitchen timer (ask first!) to help you keep track of the time. Be faithful to check your cups every hour. And don't forget to write down what you see! 1. What you guessed about the two kinds of water. 2. What you did with the water. 3. 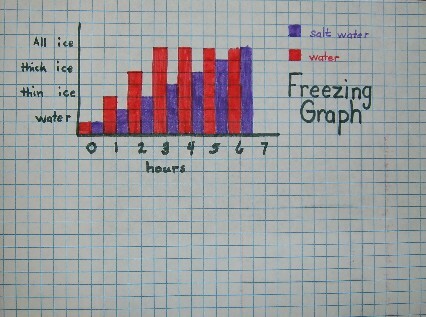 Which water froze faster, salt or fresh water. 4. If your guess was correct about the two types of water. Be careful to obey all the school rules for your science fair project water report. Two paragraphs per grade level will do if you weren't given how long it should be. If you want more information about displays and other tips and hints click here. You can also buy displays at many retail stores as well. However you do it, make sure you follow science fair rules! If you want to get some ideas for your display we have some examples for you. 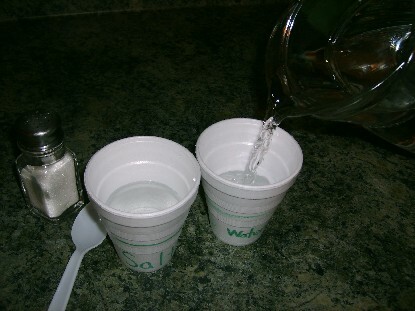 Just click here for examples for your science fair project water experiment displays. Whatever you do, have fun with your science fair project water experiment! This way to the Primary page!